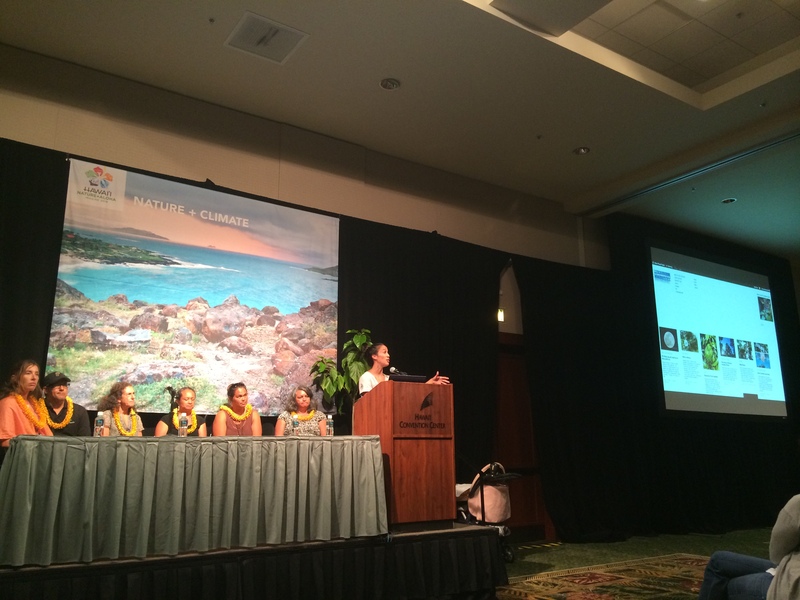 The Moon Phase Project was featured in a panel discussion at the 2014 Hawai’i Conservation Conference, and we had a great time! Mahalo nui to everyone who supported this event, whether you were in the room or sending positive thoughts from wherever you were today. This was a great opportunity to share different experiences and perspectives from the panel participants, which included Kalei, Pelika, Mahina, Ali, Rick, and Eva. It was also an opportunity to share our encouraging message for folks to get to know their environment, whether it’s a journey they are continuing on, or just starting! Mahalo to Kanani for keeping everyone organized and pulling this event together. 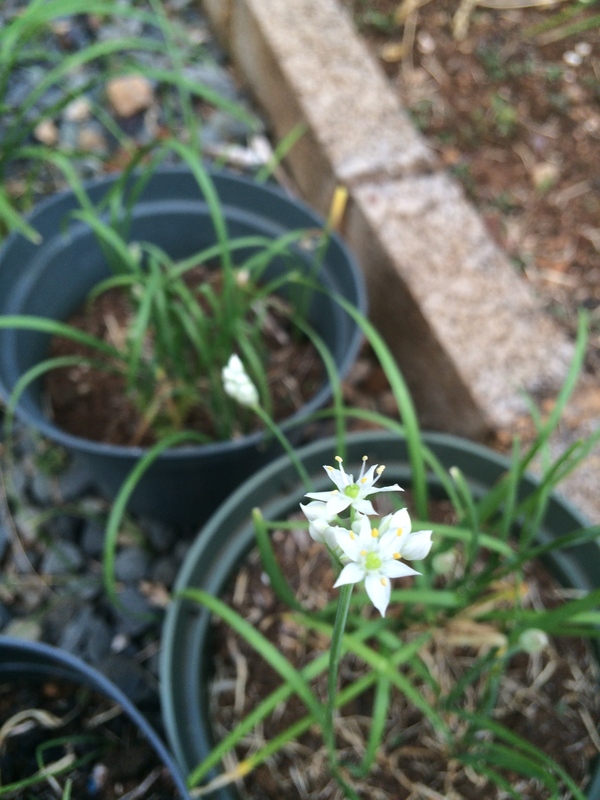 Back at home, I found garlic chives in bloom today! This is a new observation for me. There were remnant chives in the garden box and random pots when I moved to this property about 9 months ago, and I’ve never seen them blooming. Pretty beautiful pua, actually. I did notice the green onions blooming last week also.